Seekerville: The Journey Continues: Stories Surround Us. So How Do We Harness Them? Stories Surround Us. So How Do We Harness Them? You live in the real world. In the real world we don't always have the chance to ensure the happy ending so many of us like, but we do have our own unique experiences. Those experiences begin in childhood, roll through young adulthood and right on into our lives as card-carrying adults with all the responsibilities that go along with it. But where does all this fit into a story matrix? And since I write romance and women's fiction, I'm going to stick to those primarily, but you'll see how anything can be put in new context. Local politicians demanded the closing of a non-certified shelter for the homeless, citing unsafe conditions. Maybe we've got a formerly homeless heroine who is dedicated to making life better for the downtrodden? Her mother was homeless and she's got a "give back" heart? That block of Old East Main is currently under consideration as the eastern border of the newly proposed high-rise apartment building featuring lofts for downtown young executives. So we can take our hero or heroine as the developer, the Realtor, the homeless shelter manager, a good cop trying to clean up the force and investigating the bad cop, a minister fighting for the rights of the downtrodden or the fire marshal who sees the dangers inherent in the old building and can't stand by and let people die. 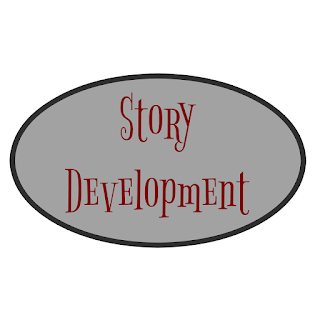 So from the above brainstorming list, we can use any or all of those ideas to deepen and flesh out the story. Or just one and go in a very different direction. Then, based on what you do there, you need a hero or heroine who is standing in the way of progress, not because they're jerks but because they need to stand their ground. Their job could be on the line, they could be paying back a kindness done to them, they could be truly invested in the city's economic growth or they could be the secret daughter of one of the homeless people. 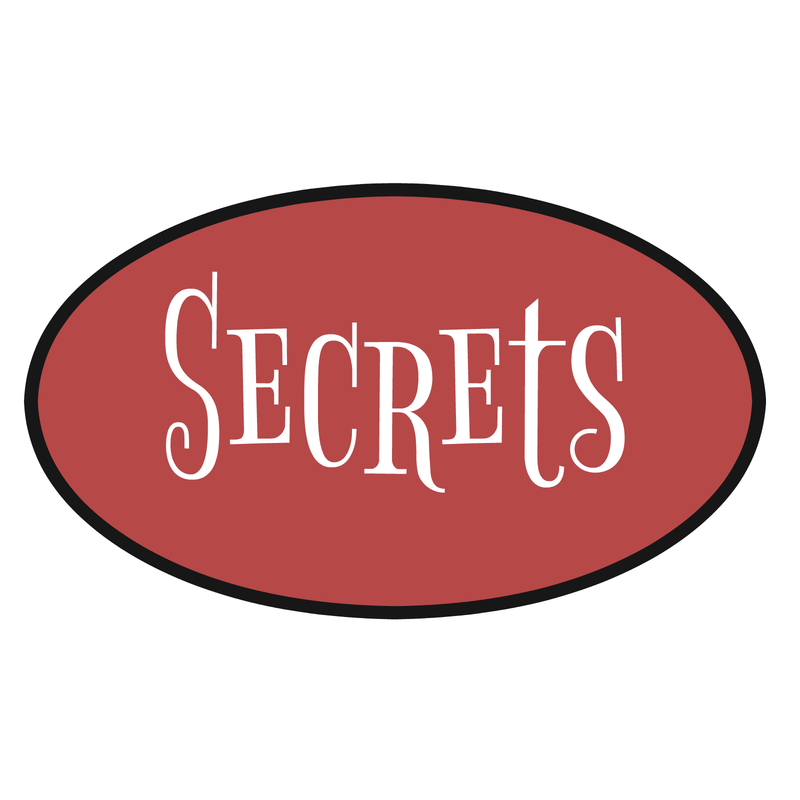 SECRETS ARE A VERY GOOD WAY TO DEEPEN THE PLOT! 2.Organizer is heroine's mother, a real do-gooder down-home type person. 4. Heroine had the best of everything, can't see the magic of hand-me-down gowns but is pressed to help by what? 5. Hero is cop? Sheriff? Teacher? 6. Schools with poverty populations are often under-performing. Does this open a new door for heroine? Maybe heroine has to help because she's assigned community service. Picture a small town and she crossed up the judge by being hoity toity! (oh what fun that would be to write, think Doc Hollywood or Cars only with prom dresses!) Hero lost daughter in tragic crash, donated her gowns. He'd have to be a 40ish hero to do this timeline.... but that's okay, we love all heroes! School is under-performing and heroine is in town to change things? Or was already in town (lives there) but was assigned by state to go into school and write a report? And offers her old gowns to the cause? Hero works at school? Hero is town sheriff and trying to help disadvantaged youth and heroine sees more than she bargained for and realizes it's not a black-and-white situation. Or hero's never been married and it was his niece that perished in a crash and broke up his older brother's marriage, leaving you a wide open door for book two. Depending on setting a story like this throws open the doors for diversity. A huge plus. Keep Fairy Godmothers as your voices of wisdom as hero and heroine bump heads. Now it's your turn. Throw an idea out there and let's see if we can come up with back-and-forth brainstorming ideas to layer it in. 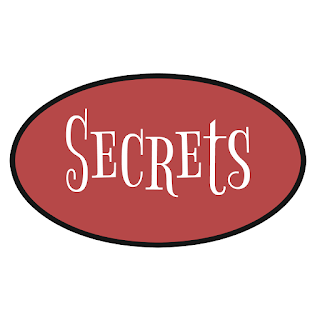 When folks tell me they don't know how to deepen a story, I realize they're looking too broadly... narrow the focus, get to the nitty gritty, either the dirty laundry or small town bigotry or nepotism or racial divides or grudge-holding. We are all sinners enough that looking to deepen a story is as simple as letting people be people. They'll do it all for you, I promise! And while you're jotting something down for today's back-and-forth, I've got fresh coffee and tea, homemade lemonade, sprigs of mint, lumps of sugar and homemade l-o-v-e cookies, shortbread cookies with a spritz of rosemary in the dough... rosemary is the herb of love! Stop in, toss in a comment and I'll tuck your name into the farm hat (it's farm season in WNY!) 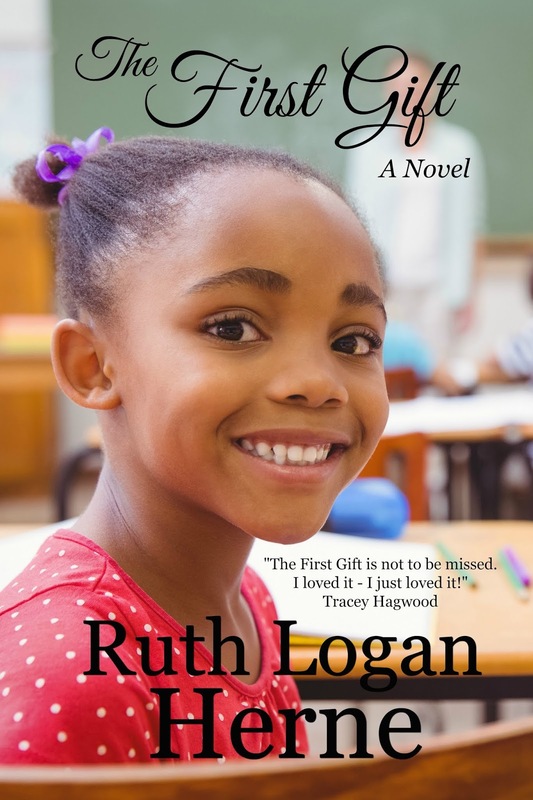 for a copy of this absolutely beautiful award-winning book "The First Gift". A story of one child... one teacher... and the men who love them both. Kerry McHenry is nobody’s fool. She sees her own tough upbringing in Cassie’s dire situation, so she works tirelessly to guide the young girl, trying to help her become everything that God wants her to be. At the same time, she finds herself torn between a commitment-phobic pediatric oncologist from a nearby town and Phillipsburg’s widowed deputy sheriff, a complicated man who is still angry with God. As the stakes grow ever higher and the characters’ lives intersect in unexpected ways, each will face a true test of faith—and come face to face with indisputable evidence of God’s love. Sometimes I like to think of a unique situation and try to think of a story in which that situation could really happen. For example: a 'hidden child' theme story in which only the child knows that he is the biological child of the mother and father playing his parents in a witness protection effort. The child overheard the truth from the FBI agents working the case and realizes that if the parents ever find out the truth the father would do something crazy to get even (revenge) and that would most likely get him killed and perhaps all of them killed. The child must keep the secret but what else happens? The other story is a 'Christian Romance' but it takes place in 399 B.C. in Athens with a family that lives in almost every way according to Christian values which are very much part of Plato's philosophy. The goal would be to show how 'Christian' values can lead to a good life even if applied before Christ was born. The Church about 800 years later invented Limbo for these good people so they would not have to go to hell given that they were not born again. How could this story develop beyond living a moral life? I think those would be interesting stories. The church actually considered making Plato a saint but decided against it. I love the hidden child story, it's kind of like Superman turned inside out where the kid isn't really from another planet... Vince that's got great potential. Although what would a father need to get even for? Thinking their child was dead? Because they must have known they had a child... and would the mother sense her oneness with this child and think herself crazy as if she's implanting her wish for her own child back on the substitute? Would there be a sense of bonding beyond adoption? Interesting layers!!! Personally I can't speak to the next one. It's not an area of expertise for me, making up things that far back in time doesn't sound like nearly as much fun or have as much free license as making them up in a fantasy... maybe we've got some ancient times writers who can speak to that. You're over my head there, my friend! The father was a bad guy in the mob. If he finds out how badly the mob boss betrayed him, instead of hiding in the witness protection program, he would go back and try to kill the mob boss and his lieutenants. He is very capable of doing this. The mother was told the baby died at birth in the hospital. She was even shown a baby that had just died. The father does not even know he's had relations with the mother because that was part of a mob deception that would drive the father into a rage if he knew. The mother is keeping secret that she ever even knew the father. She was part of the deception. The child is a foster child needing a home at the time and the FBI thought hiding out as a family would be the best cover. The man in charge of the witness protection program knows all about all the parties and thinks he is being very clever by coming up with the perfect cover. Problem: director drinks a lot in public. He is a security risk. The father knows about the mother's sinful past but is keeping this knowledge secret. He is not proud of his dealings with such women in the past. He would rather she not know how much he knows about 'the life'. Everyone is keeping secrets. Surprises happen often. Danger can strike at any time if secrets leak out. Of course, the mob has sent two hitmen to find and kill the mother and father. The mob has no idea that the two are together in a family unit. I think this has some of the elements you mentioned in your post which has a lot of great ideas. Now all we need is for them hiding out in an Amish community. The father was in the Army CID. He was discharged for anger issues! The father gets a lot of unwanted publicity when he rescues an Amish widow and her three children from their burning house. At some point the child must face a choice: his mother needs a medical treatment that requires a donation from a close relative. The child has to decide if he should disclose that he really is her biological child and risk the father going back east to kill the mob boss. The FBI was very clear that the father would do that! Poor kid! Here he was at last loving his life with his mother and father among the Plain Folk. Lives depend on his choices. He prays with the Amish bishop. What happens? Oh my word, Vince.... you should write this. You have a perfect grip on the plotline!!!!! 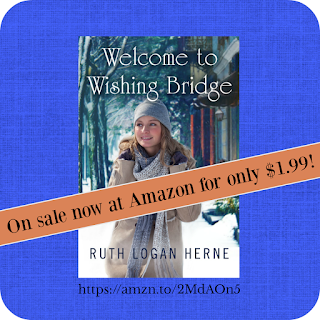 I just downloaded a Kindle "Welcome to Wishing Bridge" and not only is the Kindle book just $1.99 but so too is the Audible file. This is really a huge savings! I just love the Audible books. Thanks! Erin Bennett's audible on this book made her my favorite voice artist and I requested her for book 2 also. She was about as perfect as you can get, and I loved listening! So often they mispronounce things or put inflection where it's not intended in the story and as the author, that's a cringe waiting to happen... So while mine have all been good, this one is excellent. I hope you love it, Vince! And thank you for getting it! How do you get audible books on a self-published book? I mean, does a computer read it or a real person? I've had audible books (that's a brand isn't it? I just mean a CD of the book) of my books. Anyway, interesting. Yet another avenue I need to explore as I trundle toward self-publishing some books!!! Mary, you hire someone to do the audible book. You can pay up front or do a royalty-share deal. It can be a little expensive up front if you hire someone really good, but I've heard that audio books are getting more and more popular (and thus profitable). Amazon owns Brilliant which does great Audibles. So they arranged it, but we can get audible done of self published books. We'll have to check into that. Sandra did it. I've listened to all of Sandra's Audible books and her reader is one of the best. I would use her myself. I checked out getting a reader and they have a page with many readers with audio samples you can choose from. When you find one you like you can get an audition where the reader reads a couple of pages from your book. Then you can work on a contract. I suggest you find samples with several voices both male and female and see how easy it is to tell the characters without needing 'he said' and 'she said'. I love audio books. They will become much more popular in the future when you can stick a memory stick into your car radio and listen to them. When I do an Indie I will do an Audible book at the same time for the cross publicity. It is a very good program. So far Erin Bennett is my fave... Rachel (who did Sandra's books) has a great voice, too. I actually think I'd have a great time doing my own... I love reading out loud. It's under consideration because I know how I want the book/characters/action to sound... So then I've got no one but myself to blame if it goes awry! I would be very cautious about reading my own book. Most authors I've heard read their own books are flat out terrible. The exception was Tony Hillerman. He was better than the professional readers of his books. The worst I've heard is Carol Higgins Clark reading her mother's books. Only a mother could think those books were not terrible. Readers are actors. They have to get the emotions right, the pace right, questioning and inflections in the voice right when needed. Also it is very important to do many different voices so the reader knows who is speaking. You have to be good at doing old female voices, young female voices and the same for male voices. You need to get ethnic voices right. Even two women of the same age have to sound different so the reader knows who is talking. Even if you can do all the above well you still have to decide if your highest and best use is in spending the time writing. Great post, Ruthy! As a reader, I've wondered where an author gets their ideas. I brought Earl Grey and chocolate chip scones to share. Caryl, I get mine largely from researching the book I'm currently working on. I find some tidbit of history and start exploring and wondering how to plug characters into that little fascinating tidbit. Yum! Tea and scones! Thank you, Caryl! Would love a scone! And I agree with Mary I get nuggets from research and news and conversation. From anywhere...then you let the ideas flow and see what fits. Caryl, you are speaking my language. I'll take a scone to go with my tea. Hi Ruthy, your post reminds me that there are so many things happening in today's culture that would have seemed like fantasy or science fiction to my grandmother. I will need to think a little deeper for your assignment but I already know that I would like my name to be thrown into your farm hat! Connie, now I wish I'd copied it, but I saw some ... picture of I think it was all the stuff they invented for sci-fi Star Trek that are now a reality. Like communicators = flip phones. Stuff like that. Sci-fi come true. Connie, I can remember talking to my grandmother about how many things were discovered in her lifetime. She was born in 1900. Can you imagine seeing all those inventions?! She lived until 1990. Thinking of da Vinci's vision and intellect. So much came to be. Missy, I often think of my grandmother and the changes she experienced...horse and buggy to the auto and airplane and rocket to the moon. Of course, things are changing even more quickly these days. Ruthy, good points. I never used to have trouble finding or developing ideas, but I can see a time coming where I would. It's all a matter of asking "What if?" and "Why not?" I haven't ripped anything from the headlines yet, but I'm sure I will, especially if I do more contemporaries. My Christmas contemporary series sprang from a sweet little Christmas festival held in the next town over. I wondered, "What if it extended to three days and drew people from all over the region?" Then I wondered, "What if a young nonbeliever got stuck running the festival for one season?" And, "What if the pastor of the sponsoring church couldn't stand the idea of Heaven without her, and made her salvation his personal project?" And, "What if a horrific secret from her past broke her down, and God reassembled her into someone He could use?" It's a process. I still have to do the HARD work of GMC and other plotting necessities, but I have something to work with thanks to "What if?" Ideas are everywhere, developing them is the work. Kathy, oh my gosh. "What if the pastor couldn't stand the idea of Heaven with her...."
That's the most beautiful line. I love this idea. Go for it! Kathy, you said, "Ideas are everywhere, developing them is the work." That's truth, right there. But isn't it the best work, ever? Kathy, that sounds like a great start to a story! Kathy, you are full of ideas. This situation makes me think of a very good response a minister gave a child when asked if the child's dog would be in heaven when he went to heaven. The minister said: "If you need your dog in heaven to be happy, then your dog will be there." Well, given your story idea, what if a loved one is not in heaven but you need that loved one there to be happy… and…what if there is a virtual copy of your loved one in heaven provided just to keep you happy and you never knew the difference. What if that happened or you thought it might have happened? Could you ever really be happy even with your 'loved one' there? Ideas. I love all these ideas, it's so much fun to expand from the original question and look at things from a new angle, isn't it? Vince, I love the pastor's take, especially with a child... but the idea of a FAKE LOVED ONE!!!! Such great ways to look for new ideas. You are a wealth of information and I'm so glad you share it with us! But I think the obituaries are full of story ideas! They're some of my favorite reading material because every once in a while you get a peek into the person's life, the things they accomplished, and the things they'll be remembered for. Jan, I've gotten an idea from an obit before. Didn't write that one, but still, it's an interesting start! I get ideas all kinds of places. I'd say my most common has been from overheard snippets of conversation or from watching people in public. Hmm...Looks like I need to start reading those obits. I'm going to start reading them as well, Mindy! Obits are great story fodder... especially the funny ones. :) And Southern obits go into DETAIL.... and one detail creates a story! I think my biggest story inspirations come from people watching. Or eavesdropping.... quiet conversation that becomes a backstory for a book in my head. It's probably a good thing that most people just live outside their heads... Fewer accidents, maybe? Your stories always have such a great spark of realism to them, Ruthy. I get snippets of ideas for real life, but mostly I find normal people a little too SANE to inhabit the books I write. LOL, Mary! You have such a great imagination which helps spark your ideas. Plus, you're great at creating characters. I loved The Accidental Guardian... and then I gave it away to share the love when an airplane seat mate wondered what I was reading... so I signed it to her and hope she loves it as much as I did! Great story, Mary. And to me it was more his story than hers, and I loved that. PS Farm hat? What happened to throwing names in the cat dish? This week I have swept 5 moles and one mouse and two birds from my side porch.... the kitties are working overtime! Who needs a cat dish? Oh c'mon, you never cleaned that cat dish. I love your method of taking stories from the headlines (just like Law and Order!). I've also thought about the tried and true retelling of a familiar story. Our own Melanie has done wonderfully with her fairy tale retellings, and many people have done the same with Bible stories. And how many re-do's of O. Henry's "The Gift of the Magi" are around? Now I feel like I have brainstorming fuel! Go for it, Jan!! I hope you're able to come up with all you need today! Jan, I'm brainstorming new stories, as well. This blog is exciting me about the what ifs! You know, when we don't have the luxury of ruminating over an idea, when I get an offer of a book or novella and I have to deliver QUICKLY.... first I pray.... then I examine the norms of that time/place/season.... And then I go to sleep. Almost always when I wake up, the idea for the story is there... I work things out in my sleep, so when I wake up, the characters are there, at least one or two and I can see her angst... Like Karen in "Red Kettle Christmas" in 1947, an unwed mother in a time of that being a GRIEVOUS SIN and she kept her daughter and she's a nurse who helps deliver babies (Call the Midwife) and she's repaying the Salvation Army's help to her by bellringing in Manhattan over the Christmas season... it was all there in my head. I think sometimes a good rest offers our frenzied heads time to sort through things. It really helps unjumble my story! Now, I look forward to reading comments to see if anyone has tossed out an idea to brainstorm. 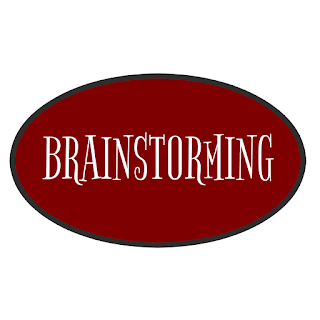 Missy, I love brainstorming mostly because it hotwires my brain... so even if I don't use an idea we throw out, the different ideas get me thinking! And then one thing leads to another! Ditto what Jan said, Ruthy. It's proposal time for me, so I have to deepen that little blurb I sent my editor at contract time. So many possibilities. Mindy, I hope you come up with lots of great ideas, too. While our methods might vary, the reasoning behind developing a plot is the same... we want it to seem like it grows from the story seamlessly, as if when we look back from the story's end, we see the plant growing, from a tiny tendril to a fully-flowering bush.... And of course that's because we go back 3 or 4 times and add things in, LOL! The original story is just a basic schematic for the final version, isn't it? Brainstorming isn't one of my strong points. This will help. Thanks, Ruthy! I tried brainstorming with a couple of writer friends and guess what - I got all kinds of ideas. They got pretty much nothing, but I did give them fair warning. I can't wait to read The First Gift. Right now I'm into Her Cowboy Reunion. Loving it! When is the next Wishing Bridge coming out? I've been holding my breath a little too long. Cindy, brainstorming makes my brain stretch and grow! Always! Love it no matter whose story is the one needing ideas. Glad it was a win-win for you, as well! Cindy, I enjoy brainstorming with other people. But I understand how difficult it can be. I don't get to brainstorm often... when I do it's with Seekers or my daughter Beth Jamison because they're filled with ideas to fix those holes or give me another point of view to consider because those differing povs shed a whole new light on things, don't they???? And even though you didn't feel like you offered too much to the brainstorming, Cindy, sometimes one simple sentence or thought gets another author's wheels turning. Our brains are such complex, fun (and by fun, please read: CRAZY!!!) things! Your post is timely as I'm working on an historical where a settlement house is in danger of demolition. What a coincidence. Your suggestions for developing plotline are teriffic, Ruthy. Some of them I hadn't considered. 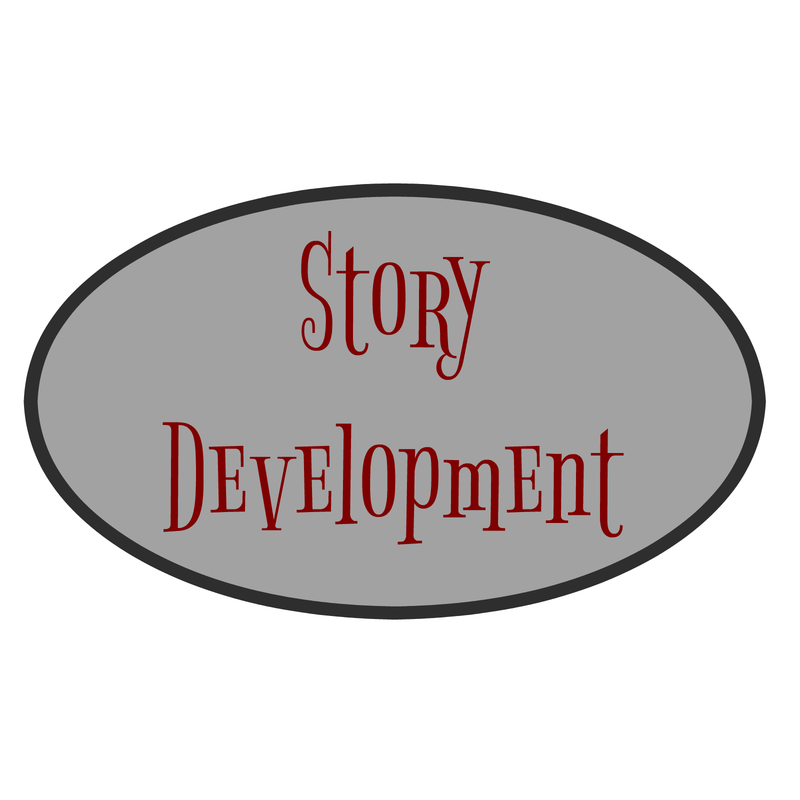 I'm not part of a writers group and mostly on my own with fleshing out story ideas. It's amazing how quickly you come up with multiple possibilities for storylines. 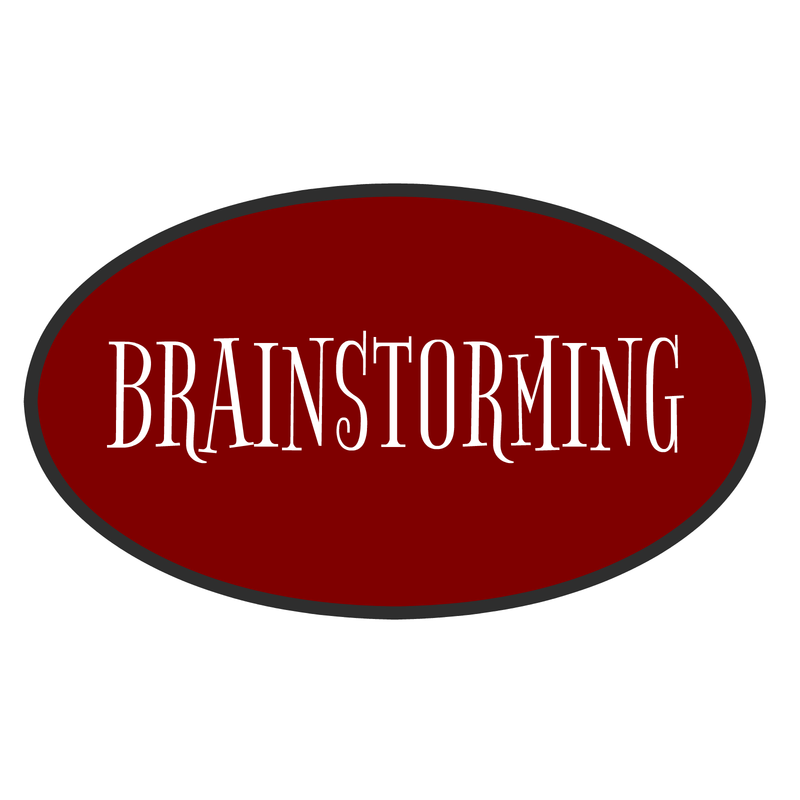 Pat, I love when I'm able to brainstorm with others (in person or online). It always helps me. And it amazes me to see how other people's brains work. Pat, I think we get so focused on hero and heroine that maybe we forget to draw the mental "camera" back and see where they're set... who might be the other players on board... what form of selfishness or grievance or power struggle from outside might affect things... and when you're writing contemporaries, we're like living in the middle of chronic controversy, and that's not a good thing but we can use that effect to our advantage in a story! In my historicals, the norms and society of the times (much stricter about moral codes and so quick to condemn) make that setting quite different in small towns, but with the hint of the full-on industrial revolution looming, it's fun to give tiny peeks into what's to come.... and that's another way to draw readers in. Ruthy, great post! As I mentioned above, perfect timing for me. I'm working on a new proposal. Wow! There are at least three of you working on proposals right now. I love new proposals. They're such a blank slate and as I play with ideas, I toss so many of them out and some I save for other story lines... but when it starts to gel, when I can see the characters' emotions, then the outside stuff seems to come more easily. And I love that you are producing wonderful blended stories of Amish and danger... Deb, what a wonderful gift you have! I love those, too! I really enjoy going back to that simpler time in so many ways, before living became utterly intrusive because while the plot lines are simpler in one respect, they're so much more human... and I really enjoy that. I'm loving the historical series I'm working on now, the characters draw me in to their simpler times and I'm like... wow. Folks really did this with no plumbing, electricity, little firewood and rough transportation. And not only did they do it... many thrived. We can learn so much from that!!! 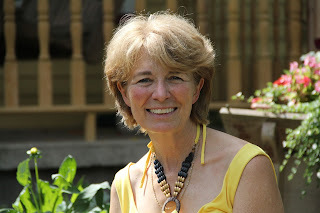 I am a reader, like Caryl, ( Caryl ALWAYS brings the best treats to all our virtual parties) and I like looking at how a writer gets their stories! This was very interesting. Headlines is a great jumping off point. Thanks. Paula, how are you??? I'm so glad you stopped over, glad to see you here! Wow, lots of good story ideas in the comments -- hope everyone writes those books so we can read them! Nancy, I've had that happen so often, and sometimes it's because I can't see the forest for the trees... and sometimes it's because I followed the wrong rabbit to the wrong hole. So those revisions become our best friend, don't they??? I am amazed by how your brain takes a snippet of a story or a chance encounter with a random person and turns it into an entire book. My brain just does NOT work that way. Beth, thank you for the graphics! And for your constant editing advice, I love, love, love working with you. Brains are the weirdest things, aren't they? So unique... I'm just so glad I get to have fun with my brain now and don't have to cloak it or hush it into abeyance. I get to PLAY WITH STORIES!!!!! What's the deal with "Welcome to Wishing Bridge"? I turned on the Audible file just to hear how the reader did various voices and I was hooked for 2 1/2 hours! I even skipped lunch! Honestly, I thought the writing was too good to be written by a mere mortal that I have actually spent time with in person! It seems very different than the LI books I've read. The story seems to breathe freer. I don't feel any restraints. I mean I'm 2 1/2 hours into the story and I believe the hero and heroine have only spent about 4 of those minutes together! Yet it is the most interesting book of yours that I've read up to now. Is it the fact that I am listening to a better reader/actor of the book than my ability to read the book in my head when I read the words silently to myself? It also has the best insertion of backstory without slowing the action. Every time I tried to make a mental note of something you did well, a different example would come up before I could sort the last one out in my head. This does not seem like your regular writing. Something seems very different. I think it is a romance because I can see you clearly developing heroines for two more books in the future. But I don't think romance editors would allow such a long time without the hero and heroine interacting. While it has not happened yet, I am sure that "Welcome to Wishing Bridge" is a love story with a happy ending. 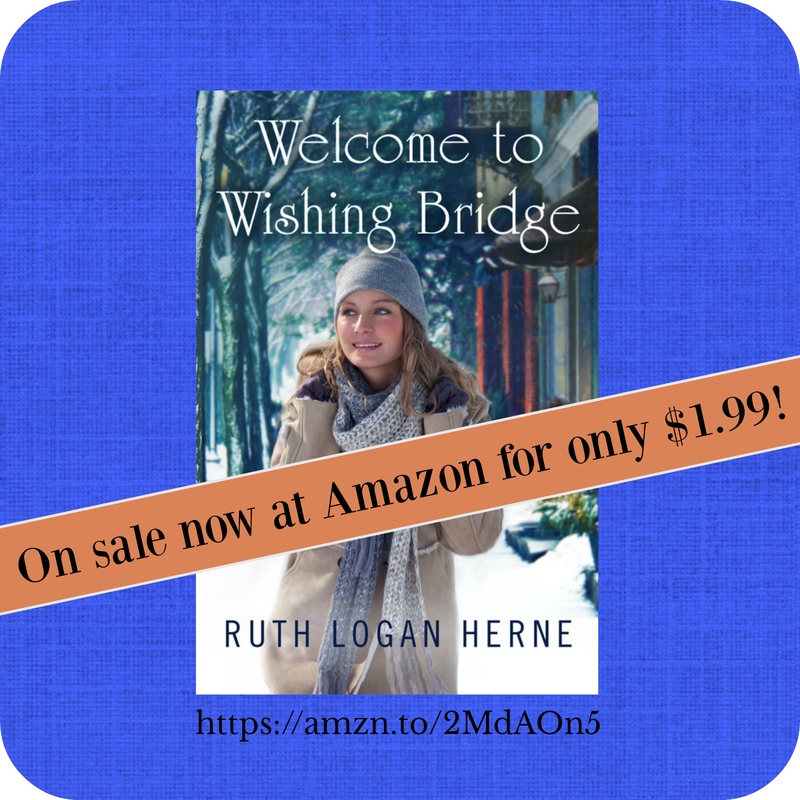 Would you call "Welcome to Wishing Bridge" woman's fiction? Could it be that I would actually enjoy woman's fiction better than category romances? Or is it just this story being read by a very good reader? Maybe this is just a much better book. Vince, it is definitely women's fiction and I am in love with your comments! Thank you so much, my friend! The proposal to Waterfall was of bringing these three friends back together after life and time pulled them apart until one sends a cry for help... and then God's timing does the rest. But when I get to spread my wings like in Wishing Bridge, or in the Double S Ranch series, or my re-releases of Refuge of the Heart, More Than a Promise and The First Gift, it's a lot of fun to let the internal stories wind their way, like rivulets to the creek and creeks to the river. And Erin Bennett's voicing of the story was ideal. Not too heavy, not too light, and she makes Kelsey jump off the page with a great cast of characters. Maggie and Jeb??? I love them! And the editorial staff at Waterfall Press was wonderful. We just finished book two, and I can't say enough about them. I'm so sorry they're closing that line because we share similar work ethics and timing... they don't hesitate to get books in, get them fixed and get them to market and you know me, I'm a New York gal. That New York minute thing is kind of in my blood. I'm so glad you love it! And while I'm aiming for a happy ending for each woman, the point of the stories is their growth and resolution and I love each of them in different ways... so hardworking Thea's story is next and we just finished the cover... and I couldn't love it more!!!! I think you've had enough practice and preparation. Isn't it time you wrote a mainstream classic like "The Old Man and the Sea" or "The Great Gatsby"? You have all the skills. You just need the project. Do you have an issue you'd love to tackle and change the hearts and minds of others towards the better? Think of "To Kill a Mocking Bird". You have the ability. I think your lifetime of preparation was for something really special. Actually, I know it was. It will come to you. Welcome it. Vince, your comment just gave me chills. I can't wait for Ruthy to read it! Oh, you are too kind... and very sweet. And we'll see what happens, Vince. I trust God to put the stories in my head and the opportunities at my fingertips as long as I'm healthy enough to do this... I am absolutely living my dream and have no aspirations to being a Harper Lee or a Hemingway or an F.Scott or a George Orwell... what sad, miserable lives they led, Vince. I am so blessed and if my stories bring sweet peace, love and joy to others, I'm a happy woman. Well, I think you got the idea just now. Why not a book on why great writers like Papa, Scott, etc lead sad, miserable lives? Is it necessary or could a strong principled Christian also write great books? "In Search of the Great American Novel While Still Keeping Your Soul". I'd read it. Hi Ruth: I should have pointed out that this is what I'd write taking an idea and expanding on it. This is what your post was about. There is something out there really big. When the student is ready, the teacher will appear. I think this might be true of writers and important works. Vince, I totally believe the last part of this. That we tack in a direction either because we're meant to... or because we're stubborn and ignore that Holy Spirit nudge, LOL! That line "When the student is ready, the teacher will appear." I love it. Honestly, I've never understood the fascination with those authors. I love "To Kill a Mockingbird". Love it. But the rest? Not a fan. I think they're overblown, like Seinfeld. Much ado about nothing. And that fact that they lived in a time when it was kind of cool to be anguished... oh mylanta, Vince. Maybe it's from being raised by alcoholics, but I steer clear of the crazies and their works. Don't think ill of me because of that, though. I am much more a Wouk and Michener kind of person, I loved their works, I love great stories. But I do abhor self-indulgent lifestyles. Bah. Humbug! To understand the crowd, you need to be an outsider. To understand the outsiders, you need to be independent and healthy. Your comments are very healthy. I'd say you are headed in the right direction. I enjoy watching your journey. Keep the faith! Fun post! I have actually gotten an idea from one of those Facebook articles that seems to show up in my newsfeed several times a year. Love this! And I definitely appreciate tea and scones. Yum! Hi, Amy! I troll facebook all the time and you wouldn't believe how many characters are based on the good and bad sides of facebook. Where else do we have the opportunity to SEE people at their best and very worst? That should be every author's go-to spot for character development. :) Especially for the snippety snop snots in our stories! On another note, I've been wanting to attempt some little kids books. I want to write about Oopsie the Daisy (from the phrase oopsy Daisy...) and perhaps other characters from the odd phrases we use around toddlers. Love, love, LOVE your books Ruthy. Don't need to get signed up for a copy of your book since I already own it. So I know exactly what you mean! And little kid books are so much fun. Whatever way your God-given talent takes you, I will cheer for you every step of the way!